On September 18, Experts Exchange launched the first installment of the Help Bell, a new feature for Premium Members, Team Accounts, and Qualified Experts. The Help Bell will serve as an additional tool to help teams increase question visibility. Have you asked a question on Experts Exchange that hasn’t yet received an expert solution? Let us help you. With the release of the Help Bell, members can ask us for assistance in getting their questions answered. It allows you to seek more engagement from the community until you feel your question has been properly solved. Experts Exchange can send a message on a member’s behalf, informing subject-matter experts of the question’s need for attention. Asking for attention can elevate an existing question’s priority to high, apply bonus points, and alert designated experts. Members can receive helpful tips for drafting better questions that will yield faster solutions, such as clear and explanatory question descriptions to fully explain the situation. When questions have all the needed components and supply all the information, experts are better able to understand the problem and offer insightful guidance to help you mitigate and solve your technology problem. To get started, go to one of your questions that has not yet been solved. At the top of the question box, you will see a bell icon. This is the Help Bell. Click on the icon for further instruction. Click on the option that best describes your need. 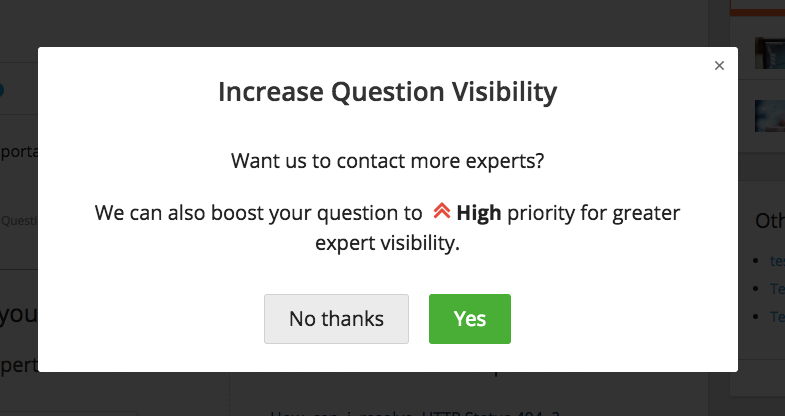 If you’ve selected “My question needs more attention” you will receive a pop up window asking you if you’d like our assistance in contacting experts about your question, as well as our help confirming the priority level of your question. 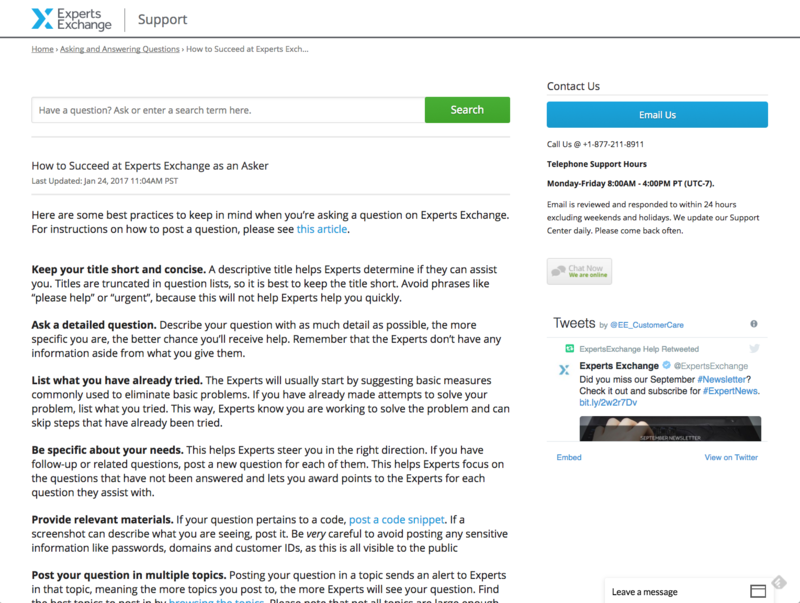 When you click on “Helpful hints” you’ll be taken to a Support article with step-by-step instructions on ways to better craft your question for our community’s experts. Following these tips can result in higher engagement in the community, greater visibility to your question, and quality solutions. The Help Bell is an iterative tool. New editions of this feature for other areas of engagement in the Experts Exchange site will be released in coming months. Stay tuned for more updates!